Since 1970, people all over the world have celebrated Earth Day on April 22 each year. Its purpose is to spread awareness of environmentalism and ways to keep our Earth healthy. In 2017, March for Science chose April 22 for their worldwide event. Held in over 600 cities around the world, the purpose of the march was to bring even more focus onto Earth Day and the important environmental messages it spreads. According to the official website, “The March for Science is a celebration of science. 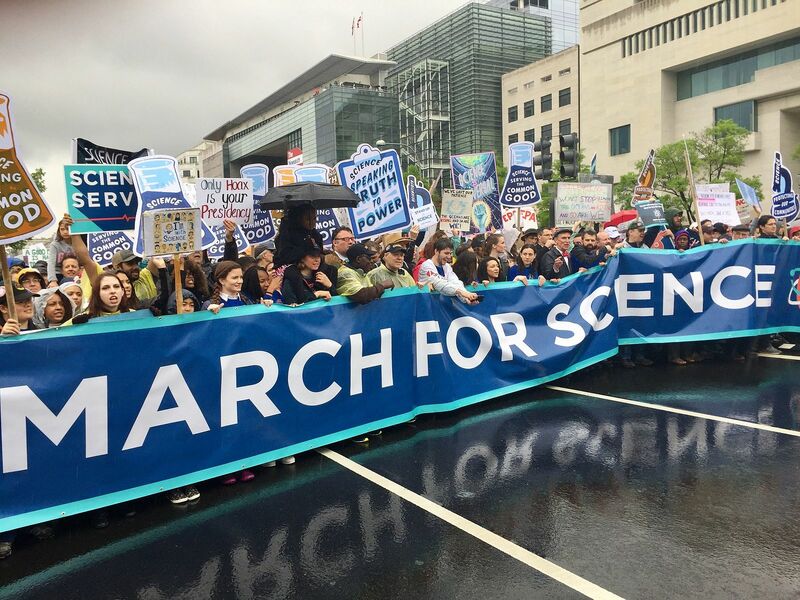 It's not only about scientists and politicians; it is about the very real role that science plays in each of our lives and the need to respect and encourage research that gives us insight into the world.” The march drew in tens of thousands of participants who are concerned about recent government tendencies. Many government policies don’t take scientific research into account when it comes to caring for our planet and ourselves as residents of Earth. The State of Michigan hosted 15 separate Marches for Science, including one in Lansing and one in Detroit. The Michigan Environmental Council, a charitable organization that attempts to bridge the gap between government and scientists, supported the local marches. Their site provides five examples of why the march is so important for Michigan in particular. The Flint water crisis is one of the most striking recent examples of why thorough scientific research is important. It’s also an example of a time when scientists had to push back when policy-makers refuse to look at the facts. In 2015, Dr. Mona Hanna-Attisha provided reports indicating that the blood lead levels of children in Flint had doubled or even tripled after a recent drinking water switch. Worryingly, local officials responded by denying the reports and claiming that Dr. Hanna-Attisha was “irresponsible” and only causing unnecessary hysteria. Later these arguments were withdrawn, but only after the eyes of the world focused onto the problem. By the beginning of 2017, the quality of Flint water had improved but was still considered unsafe to consume. The crisis is still not over now, and many wonder what would have happened had the government put more focus on water safety before a problem arose. Several emergency managers have been criminally charged with felonies for their parts in the negligence. The March for Science successfully drew attention to the problems we’re facing around the world when it comes to both government officials and regular citizens paying attention to scientific research. However, it’s important for us to keep this in mind throughout the year as we move forward. Learning how take care of our Earth is a problem that will never go away. Only by improving education and spreading awareness of the importance of quality scientific research can we make the crucial decisions going forward. Let's keep our planet and all of its inhabitants healthy!